« Older: 2018 National Agriculture Trade Show- A grand success! 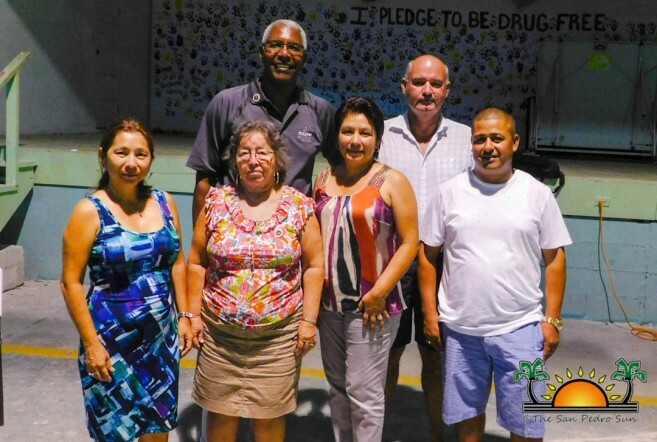 During a meeting held at the San Pedro High School (SPHS) on Wednesday, May 2nd, the San Pedro Chapter of the Justices of the Peace (JP) elected a new Board of Directors for the upcoming year. After nominations and voting, the new board consists of Clive Welsh remaining as president, Walter Zepeda as the new vice president, Maria Elena Alamilla as treasurer, Ana Ico as secretary, while the new executive members include Delia Pere and Grant Crimmins. The third meeting of the year for the Chapter started at 7PM with president Welsh, welcoming and thanking everyone for their attendance. This was followed by the singing of the National Anthem and a short invocation by JP Javier Gongora. The meeting proceeded with the election of the new board facilitated by Magistrate Janelle Villanueva. Following the election process, Marleni Barnes from RET International shared some words of the work her organization does. “RET International is an organization that is committed to working in emergencies and fragile environments around the world to ensure the protection and resilience of vulnerable young people through education,” said Barnes. 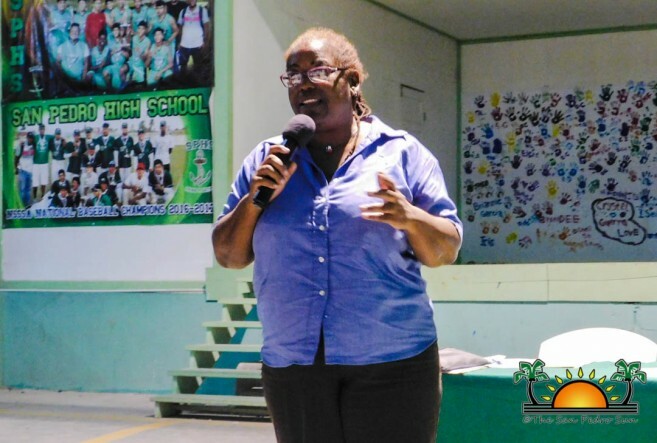 The event concluded with RET International Country Director, Legislation and Police Officer, Doctor Abigail McKay sharing with the JPs in attendance about the training that RET International is conducting with the different JP Chapters across Belize. 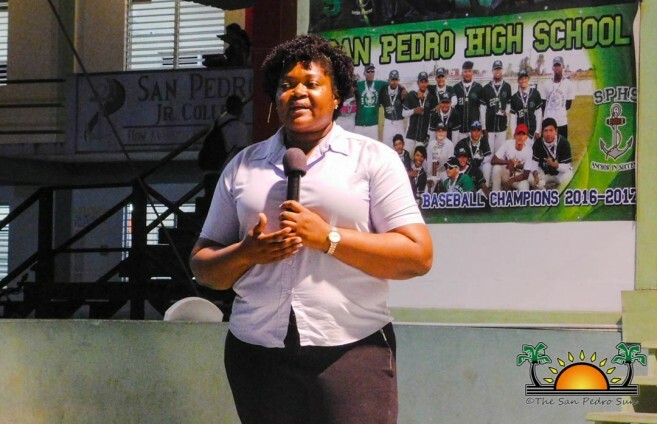 “As JPs we play a vital role in society so we are supposed to be educated of our laws and responsibilities in order to perform efficiently in certain circumstances,” said Dr. Mckay. 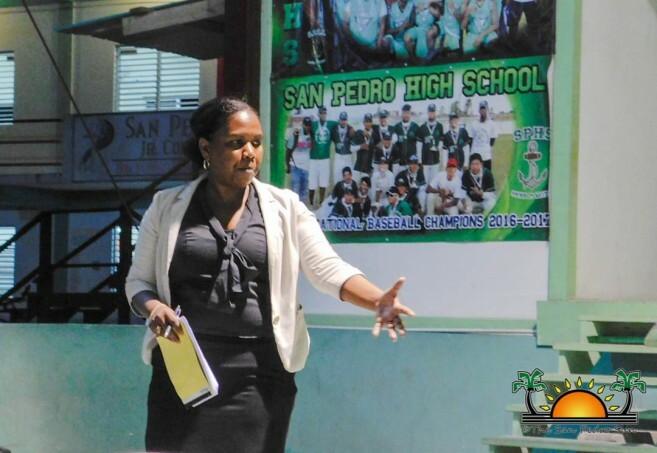 “This training is to teach JPs to respond in a timely, transparent, and efficient way to gender-based violence, human trafficking, child abuse and any other issue of crime and violence in our society.” She continued by stating that this project will be very informative providing vital information for JPs who don’t really understand their role in the community. “It is our hope that with this training you will be able to react to all this issue of crime and violence in a better way,” she said. At the end of the meeting, applications were issued to anyone that wanted to participate in the RET International training, to be held in San Pedro Town on Sunday, June 24th. Welsh then declared the meeting a success and announced that the committee plans to hold their next meeting on Wednesday, June 6th at the SPHS Room 1G.